If seeking after God becomes optional, then living for God will also become optional. We must choose to be a generation that is committed to seeking after God. We are thankful for the following recent report sent in from Iowa youth president, Nate Kennedy. Every year as Iowa winter ends in May, the Apostolic youth from across our state come together to have their first district event. It began as “UPLINK,” a part of the National Day of Prayer, and has transitioned into becoming the annual Sheaves for Christ district kick-off event. This two day gathering was not only full with services, but we also rented out a bowling center and provided meals for students. This year, General Youth President Michael Ensey preached at the event which brought record numbers. Lives were changed, new commitments were made, and several backsliders were refilled with the Holy Ghost. With so many wonderful things happening at events across North America, it would be impossible to share them all. While we are so extremely thankful for events like this, we are also very excited about a new venture. For the first time ever, Apostolic students will be able to join in daily devotion together. This year at North American Youth Congress, the all-new Apostolic daily devotion called Devote365 will be released. Here is a small sneak peek at the challenge from Michael Ensey. The purpose of Devote 365 is to encourage and facilitate your personal relationship with God. This relationship must be defined by more than the occasional conversation on Sunday morning at your local church or during a special service at a youth event. God desires more than that. You need more than that. God wants all of you, and He desires to spend time with you every day. We challenge you to devote your entire life to God. 24/7. 365. Spend time with Him every day. Lay down your mobile device or tablet, grab your Bible, and find a quiet place to read your daily devotion, meditate on the Word of God, and talk to Jesus Christ—your Creator, Lord, and Savior. If you will listen close enough, He will talk to you also. When we gather collectively to pray and worship at our events, they will be more powerful when we are Christians committed to daily devotion with the Lord. 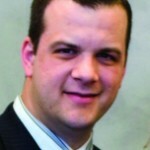 Josh served as student pastor in Tallmadge, Ohio for twelve years. 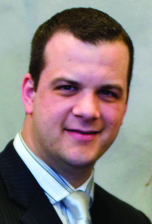 He currently serves the youth of the UPCI as the General Director of Promotion.